Here's a very clean, all original '59 burst with OHSC and all parts, including ash tray, trem and 50's Stratocaster care manual. Not quite museum quality as it has scratches and dings. But there's no buckle rash or finish wear-thru. 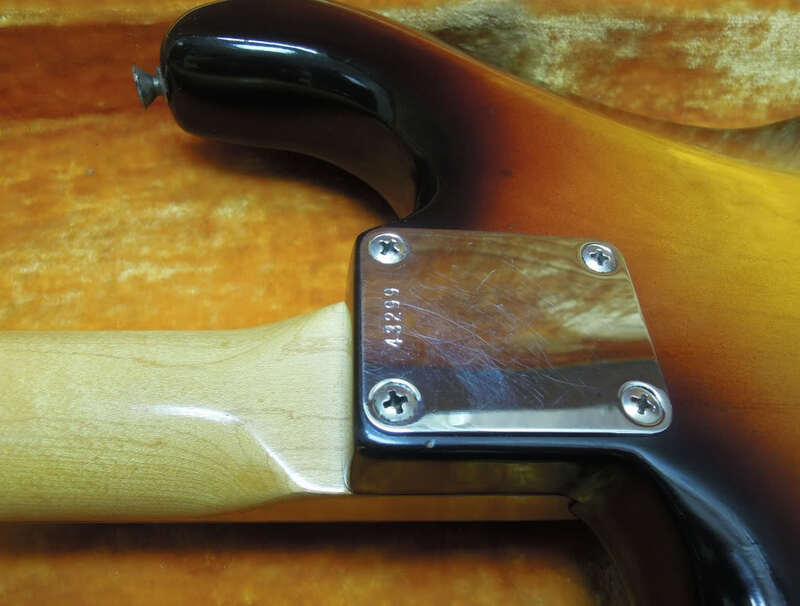 Maryland based Island Music Company has an excellent listing description with tons of photos, including dissections revealing pot date code stamps, chicklet cap, pickup backs, cavities, etc. Features/specs include: 7.25" Brazilian rosewood fretboard on a thin "D" neck profile. Celluloid "mint green" three layer (white/black/white) pickguard with 11 attachment screws. Description also includes a couple esoteric details indicative of a mid-1959 production. 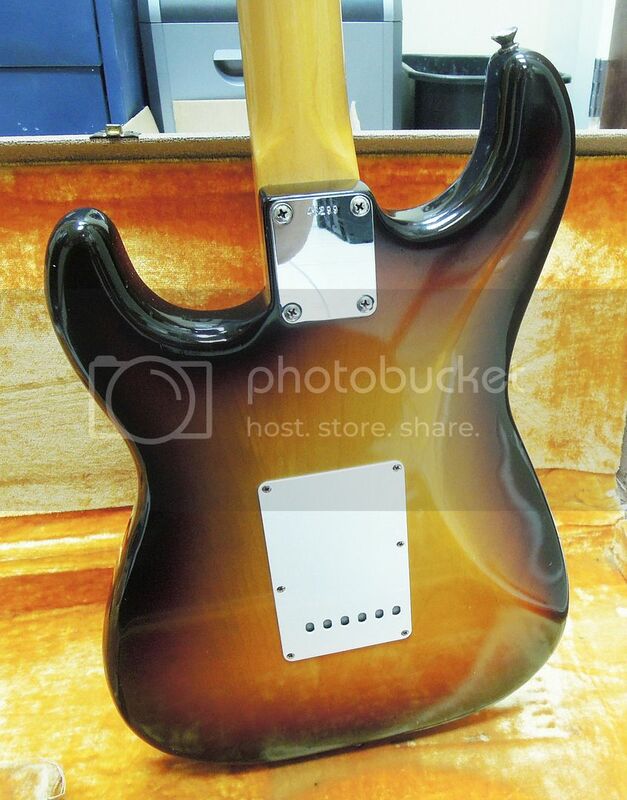 So, you'll have to check all that stuff out while the guitar is listed. Nice to see everything so well together!